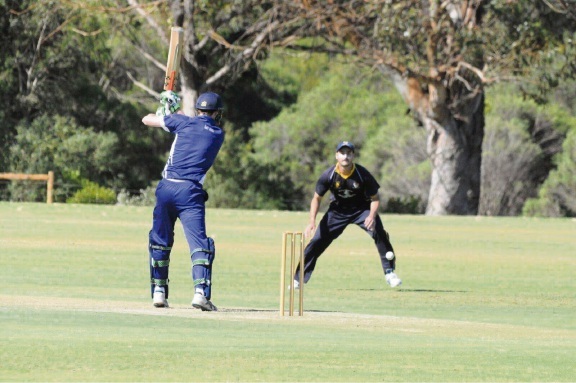 Fremantle needs 42 runs to claim first innings points against Wanneroo on Saturday. Fremantle is on track for its sixth win of the season after rolling through the Wanneroo batting order on day one of its Premier Cricket clash at the Kingsway Sports Ground. Jamie Heath and Jhye Richardson dismissed the hosts’ top three batsman with the score on six and despite a fighting 61 from Alex Burton, Wanneroo’s middle order offered little resistance. With the belly removed, Heath came back to clean up the tail in the 58th over with Wanneroo having scored just 140. Heath finished with four wickets and Richardson claimed two. In reply, the Port Boys suffered an early setback when Tom Abell was trapped in front for just four. Chris Wood followed soon after and when Brayden Sutton was stumped for just seven, the visitors were 3-46 and in a bit of trouble. Opener Jake Carder (53 from 101) and Chris Chellew (24 from 46) steadied the ship from there, guiding the Port Boys to 3-99 at the close of play. The visitors are just 42 runs shy of first innings points. Play will resume on Saturday at 11.40am. Cockburn showed little mercy for their opponents, notching up a huge win in their South Metropolitan Cricket Association match against East Fremantle. Bowling East Fremantle out for 128 last week, Cockburn’s batsmen had no trouble reaching that target and then some, amassing a score of 9-405 in reply. Chris Kercheval was the star, top scoring with a massive 238, which included 27 fours and 15 sixes, before he was caught off the bowling of Chris Siave. Siave managed a five-wicket haul on what was a bad day for East Fremantle who slumped to the bottom of the ladder with the loss, while the big winning margin catapulted Cockburn to the top. It was a closer game for Phoenix, who fell just 29 runs short in their chase of CBC’s 236. Barry Savage and Chris Carley gave Phoenix hope, scoring 70 and 47 runs respectively, but teammates fell cheaply around them on the back of a hard-fought four-wicket haul from Andrew Gailbraith and Phoenix could only manage 207 in reply. In other results, Leeming Spartan beat the previously undefeated Thornlie, while Bicton Attadale got the win over Armadale. Round 6 begins on Saturday, with East Fremantle hosting Leeming Spartan, Cockburn travelling to Thornlie and Phoenix going up against Armadale.